IT’S HERE! IT’S HERE! As we told you a couple weeks back, spring is the busiest season for film festivals in Metro Boston. And we’ve still got a few weeks and a couple more festivals to go! The Boston International Film Festival kicks off a weekend plus a couple extra days of its annual program tonight. For the first time, the opening night gala will be held at one of Boston’s newest movie palace jewels, the Kerasotes Showplace ICON Theatre in the Seaport district. The screening starts at 6:30 PM, tickets can be purchased here. The film will be precedes by the short films The Other End Of The Earth and The 6th Amendment. 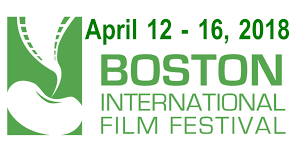 Boston International Film Festival will continue over the next several days with several sessions each day; most include a feature and a short or two; all upcoming screenings will be held, also for the first time, at the Kendall Square Cinema in Cambridge. Because the offbeat way films are scheduled, it makes it difficult to do day to day schedule listings for this fest, and you are urged to get complete information on the festival and all of its offerings this year by visiting the official website at http://www.bostoniff.org! Be sure to stay informed! And BIFF will be part of our sister podcast Subject:CINEMA’s massive BSAF coverage throughout the month of May, and also in our huge BSAF SuperGuide PDF online magazine, also coming in mid-May!